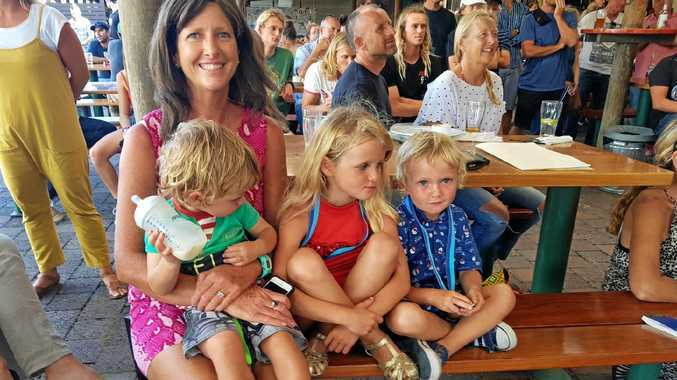 A WOMAN is being treated by paramedics after being attacked by a monkey at the studios where the latest Pirates of the Caribbean movie is being filmed. A Queensland Ambulance spokeswoman said the woman in her 50s was suffering from a monkey bite to the ear. The incident happened about 12.10pm on Tuesday at the Movie World Studios, away from the theme park. 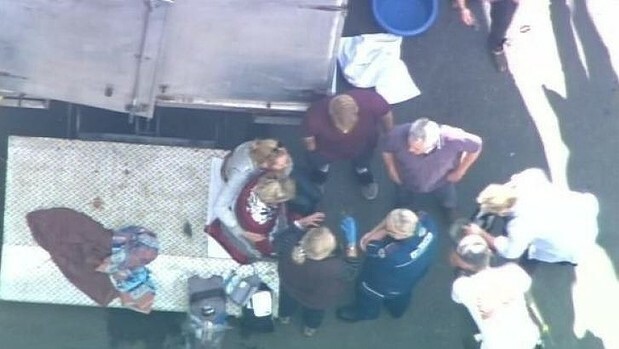 Pictures taken from television helicopters showed the woman being treated while others looked on. It is unknown whether the monkey responsible is Pirates' famous Capuchin monkey Jack, who plays a sidekick to Geoffrey Rush's character Hector Barbosa. A woman in her 50's taken stable to Allamanda Private Hosp after being bitten by a monkey on Entertainment Drive #Oxenford at 12.10pm. Pirates of the Caribbean: Dead Men Tell No Tales is being filmed on the Gold Coast and stars Johnny Depp, Rush, Orlando Bloom, Javier Bardem and Kaya Scodelario.